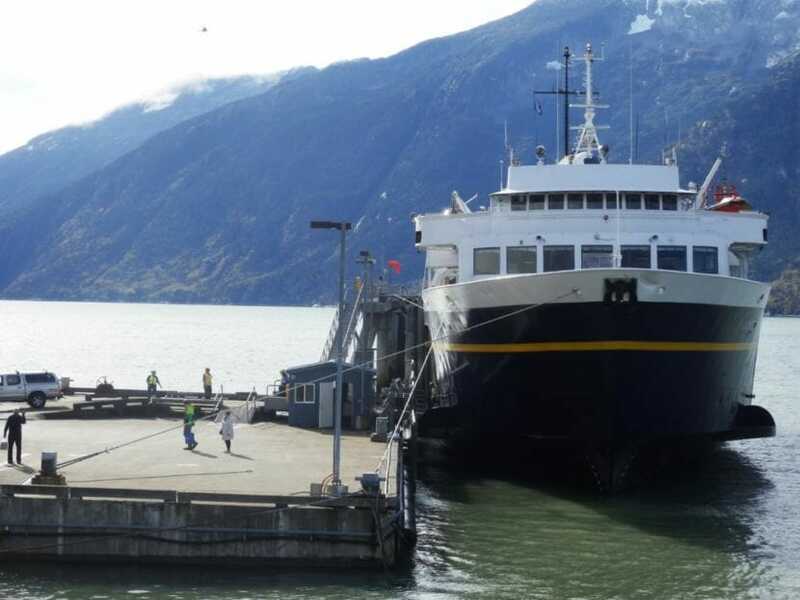 The Dunleavy administration is looking at privatizing Alaska’s state-run ferry system, according to Gov. Michael Dunleavy’s budget proposal. That’s on top of a proposed 75 percent cut to the system’s budget. She compared the ferry service to the state’s paved highways. “For example, the cost to transport a vehicle on a state highway is about 2 cents per mile whereas it’s about $4.58 on a ferry” she said. Most of the 33 Alaska ports served by the ferry system aren’t connected to the road system. Reaction to the proposal from one resident of the Southeast community Kake — one of 28 ferry port communities not served by a state highway — was dismay. The marine highway is an arm of the state’s transportation department and largely subsidized by the Legislature. Fares recover about a third of operational costs. The overall goal of privatization is to reduce the state’s financial obligation and liability, a press release from the governor’s office says. State funding to the Alaska Marine Highway System has been decreasing in recent years, leading to scaled back routes, mechanical breakdowns and service disruptions. The governor proposes cuts it says would save around $96 million. The document also notes that ferries run on average at around half-capacity and suggests smaller vessels on some routes. An effort is already underway to reform the ferry system towards a public corporation model with its own governance board. The summary document does not mention this effort. The Senate Finance Committee will begin looking at this and the governor’s other budget proposals on Thursday.